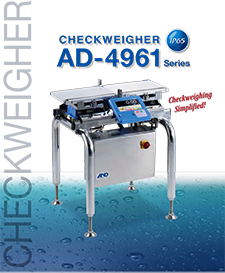 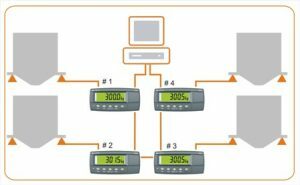 Multiple Indicator Weighing System | Weighing Application |ZF Associates Co. 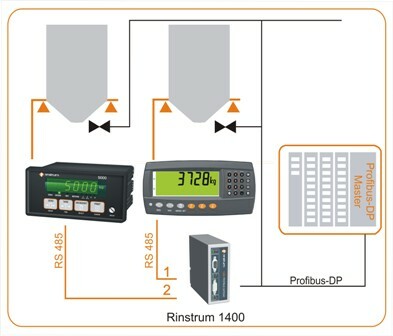 The R400, 5000 and R300 series indicators can all be networked back to a controlling PC. 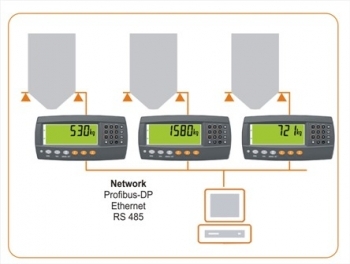 Multi-drop RS485 networked configuration with connection back to a controlling PC. 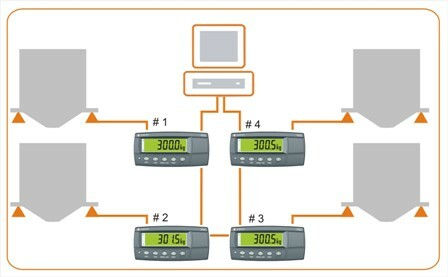 The R320 and R323 support RS232 ring functionality back to a master computer making it suitable for basic weight networked applications. 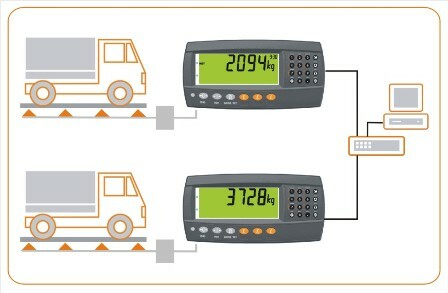 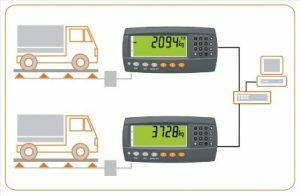 In some applications there may be the need for the weight to be displayed away from the indicator, a small remote display satisfies this requirement – for example in a silo installation the indicators maybe located in a control hut and remote displays on the silos.